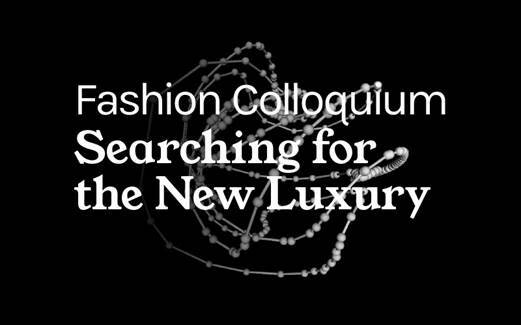 The ‘Fashion Colloquium: Searching for the New Luxury’ will explore new definitions of ‘luxury’ against the backdrop of urgent environmental and social issues. Fashion is in dire need of more value-based critical thinking as well as design-driven research to thoroughly explore, disrupt, redefine and transform the system. More than 30 international academics and creative practitioners will present their research on themes such as new materials, design for closed loops, aesthetic sustainability and emotional connectivity, redefining value systems, new business models and forms of organization, and the importance of agency in moving towards a more resilient future.